The full name of Shane Warne is Shane Keith Warne. Warne was born in the year 1969 September 13 at Upper Ferntree Gully, Victoria, Australia. Shane Warne is one of the best leg spinners in all forms of International cricket. Shane Warne was the first cricketer to reach 700 wicket mile stone in world cricket but later on it was broken by Srilankan spinner Muttiah Muralidharan. Shane Warne was a right arm leg spinner and a right handed batsman. Shane Warne played his first Test match against India in the year 1992 January 2 and one day debut against New Zealand in the year 1993 March 24. In total Warne had take 1000 plus wickets in International cricket. Warne was retired from International cricket in the year 2007 after Ashes victory against England. After his retirement Warne played in Rajasthan royals as Captain and lead his team to win the first IPL championship in the year 2008. 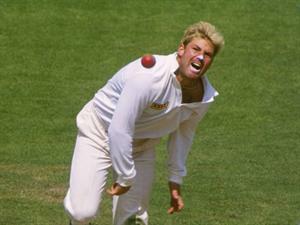 Best bowling performance of Shane Warne in Test cricket is 8 for 71 and 5 for 33 in one day cricket. Shane Warne was the second highest wicket taker in test cricket with 708 wickets.